"The hotel is good, the staff are very accommodating." Have a question for Ascendo Suites? "our stay is rated good for me." "Location and facilities is very good." Ascendo Suites, located in Puerto Princesa, Palawan, is a popular choice for travelers. From here, guests can enjoy easy access to all that the lively city has to offer. A haven of rest and relaxation, the hotel will offer total renewal just steps away from the city's numerous attractions such as Puerto princesa city colesium, NCCC Mall, Mendoza Park. The facilities and services provided by Ascendo Suites ensure a pleasant stay for guests. The hotel offers access to a vast array of services, including free Wi-Fi in all rooms, Wi-Fi in public areas, car park, room service, airport transfer. In addition, all guestrooms feature a variety of comforts. Many rooms even provide television LCD/plasma screen, separate living room, internet access – wireless (complimentary), non smoking rooms, air conditioning to please the most discerning guest. Besides, the hotel's host of recreational offerings ensures you have plenty to do during your stay. 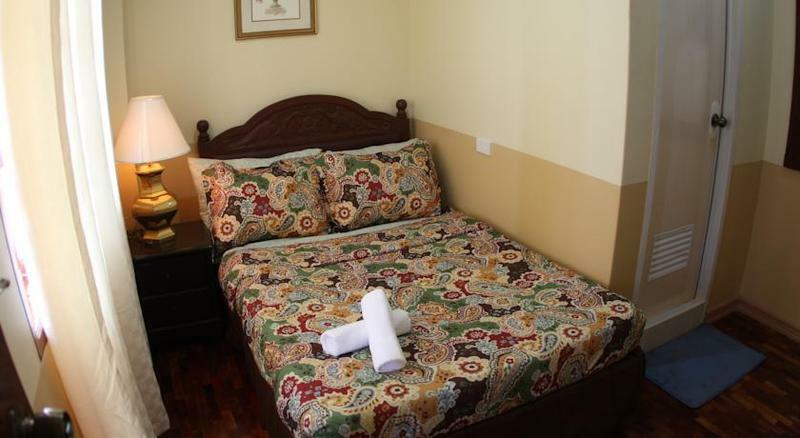 Ascendo Suites is your one-stop destination for quality hotel accommodations in Palawan. The property provides pick-up from the airport. In order to reserve the transfer, please inform the property of your arrival details at least 24 hours prior to arrival. Airport transfer is available at an additional charge for guests staying in single room. In order to reserve the transfer, please inform the property of your arrival details prior to arrival. booked for 2 nights last dec for only 700 a night. staff was a bit impolite at first and hesitated to accept us since he thinks the price is not right. after confirming with agoda they immediately apologized. shower, ac, tv, bed were ok. room a bit small but it is indeed a value for our money. along main street so it's easy for us to take a tricycle. security a bit lax since there's always no person in the front desk and the gate is always open. breakfast is a variety of silogs. overall would recommend. The worst stay to date. No one was there for hours. Hi sir! Thank you for staying with us, but we will no longer accept you in our suites. Do you still remember the time we are asking your payment for one night extension? You are supposed to be check-out in the 11th day of February but you insisted to check-out on the 12th day with one girl inside the room which is not supposed to be there. Further more, we considered big room for you to be satisfied in the first day upon checking in and asking you to stay first in this room because we are fully book. Afterwards, we will transfer you. Time come and you don't like to be transfer. For your information sir, you only paid for single Occupancy that means we accommodated you as one, not two. For your towel concern, Every time you ask for a towel, a couple of seconds handed it to you. Tour concern? Excuse me sir, we never did that. Maybe you misunderstood. Laundry, How can we handed it to you? you are always arriving late in our hotel with your Girl. Stop posting negatives. Thank you. The hotel is good, the staff are very accommodating. Location and facilities is very good.. what i like the most is the bed.. it feels very comfortable.. the rooms were a little bit small that if you are traveller and carrying many things such bag and luggage may make you feel uneasy.. no cabinets at the room.. but our stay is rated good for me.. ah i remember also the staff were accomodating specially joanna.. but if you need something tell them early because there is no one you can talk in the midnight.. It was at the center of the city. Very accessible. The staff were helpful. They provide good services in a timely manner, such as laundry. They were helpful with providing information on tourist destinations. It was a hassle free stay. We arrived quite late in Puerto Princessa since we travelled by boat from Coron island. We were picked up from the pier very promptly by the hotel staff with umbrellas since it has been drizzling since morning. the check-in was very fast, and we were accompanied to our accommodation. there was a "personal touch" service. the room is very basic. quite small. location is central to the city. breakfast is very simple. but for the price we paid it was great. 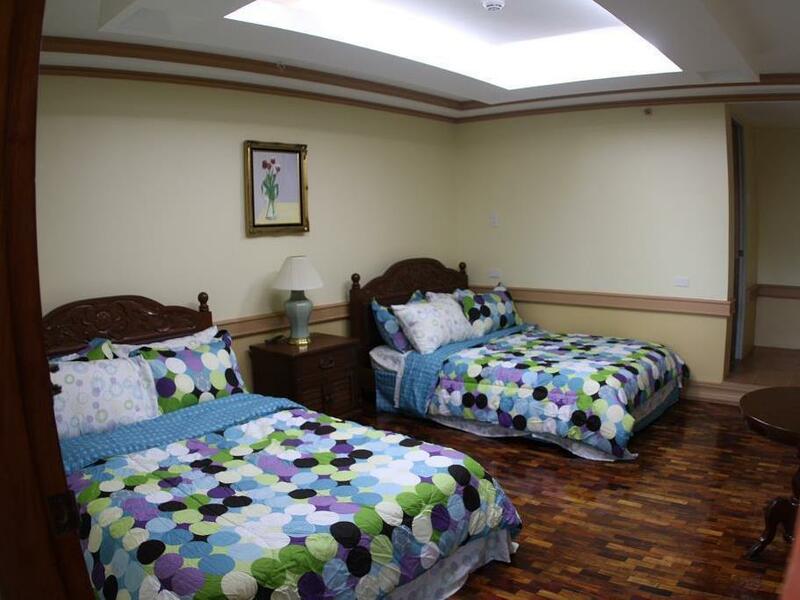 Location, accommodating staff, clean room. Overall, our stay was good. One thing is, most of the time no staff is available in the hotel counter. But they are accommodating. we stayed only for a night. it was horrible. first the taxi drive told us we were crazy to go to this hotel (in the airport), he told us we should stay in another place closer to the airport. we though he was trying to scheme us a new hotel. i'm from brazil so i can relate, the location of this hotel is super ultra dangerous at night - unbelievable. the hotel is clean i'll give you that but the walls are made of plastic i think, we could hear the tv from both rooms, we barely slept, it was bad. staying here is good , staff are friendly solve your questions .the room I thought is bigger but that's fine , very comfortable and clean . Location, cleaners and brand new build. Nice modern rooms w/hot water. Nice and so close to center. Breakfast not good.Wrong delivery twice, cold sunny side up egg, coffee instart. No water or juice. Better eat breakfast outside.Not always smiling staff, did many mistakes. There was no water pressure in the hand basin and the shower was only marginally better. We had to resort to bucketing water from a tap below in the shower. Actually when we checked in it started okay, we were offered to choose our breakfast and informed them that we will be leaving at about 6 to 630 PM as we plan to take our honda bay tour. At around 8PM we wanted to ask if they have ice, no receptionist on sight. Up until we came back from tiki bar at about 11PM no body was at the reception area. During our check in we wre not given any contact number (no intercom at the room) if in case we need anything.The next day at 6AM, still nobody at the reception and of course no breakfast for us. Indeed a budget hotel, you really feel like you only paid for the room and customer service is not part of the package. I will really not recommend this hotel to other people.